Anything may be sent in a parcel excepting articles the transmission of which is prohibited.A parcel may contain a single written communicationof the nature of a letter or having the character of a personal communication,addressed to the addressee of the parcel . 3.If a parcel is suspected to contain any written communication other that permitted by sub-clause 910,it will be forwarded to its destination marked " for open delivery" .If on being opened in the office of delivery in the presence of the addressee or his authorized agent it is found to contain any written communication other than the one permitted by sub-clause(1), each such written communication shall be charged on delivery with double the letter postage .Any postage paid on the parcel shall not be taken into account in assessing this charge.If the addressee fails attend as required or refuse to pay the charge in full the parcel shall be returned to the sender from whom the charge will not be recovered. The weight of an un-registered parcel should not exceed 4 kilograms(4000 grams) the weight of a registered parcel should not exceed. 2. The length of a parcel should not exceed 1 metre and the length and girth combined should not exceed 1.80 metres . 3. No parcel shall be such that,by reason of its shape, manner of packing or any other feature, it cannot be carried without serious inconvenience or risk. A parcel be packed and enclosed in a reasonably strong case wrapper, or cover fastened in a manner calculated to preserve the contents from loss or demage in the post,to prevent any tampering therewith, and to protect other postal articles from being damaged in any way thereby.If a parcel contains cloth or woolen material it must be packed in a strong wrapper with an outer covering of stout card board or cloth.It is suggesetd to use a wooden or a stout cardboard case according to the nature of the article for packing a parcel. Liquid and sustances with liquefy easily must be dispatched in a double receptacle.Between the first receptacle (bottle,talks,box etc) and the second(which must be a box of metal or strong wood) sum space must be left to be filled with saw dust,bran or some other absorbing material in sufficient quantity to absorb all the liquid contents in the event of breakage. Live-bees must be enclosed in suitable cases and so packed as to prevent all risk of injury to other postal circles in course of transmission by post or to officers of the post ofice. The suspected viscus or othermaterial to be sent for examination must be enclosed ina glass bottle jar,fitted with a stopper or sound cork. Great care must be taken that the stopper or cork of thebottle fits tightly.The precaution isaspecially necessary when alcohol is used a spreservative,in such cases a ring of bees wax or candle wax must be placed round the lip of the bottle so as to cover the shoulder of the stopper.The stopper must be carefully fatsened down with bladder or leather and sealed. the glass bottle or jar must then be placed in a strong wooden or tin box, which must be large enough to allow of a layer of raw cotton at least eighteen milimeters thik , being placed between the bottle or jar and the box. The box itself must be encashed in cloth, ehich must be securely closed and sealed.The seals must be at intervals not exceeding 3 inches along each seam.All the seals must be of the same kind of wax and must bear distinct impressions of the same device.The device must not be that of a current coin or merely a series of straight surved or crossed lines. (a) Such cultures or other articles aforesaid must not be accepted for transmission,unless they are sent by a Commission Medical Officer, a Military Assistant Surgeon or a Medical Practioner in possesion of a qualification not lower than that of the University of Culcutta, Punjab,chennai or Mumbai, or by a person specially permitted by the Central Government or a State Government to send such cultures or other articles. (b) The culture or other articles aforesaid must be securely packet in a hermatically closed in of adequate strength, which must be placed in a strong box of wood or with a layer of atleast eighteen millimeters or row cutton-wool between the inner and outer case. (c) The outer case must be enclosed in stout cloth,which must be securely fastened and sealed and labeled withsuch distingushing inscription as will suffice to make immidiately manifest the nature of the contents. (d) The sender must present the parcel at the post office accompanied by a declaration as to the nature of its contents, and a certificate signed by himself to the effect that he has advised the addressee of its despatch and that such addressee, if the parcel should not be addressed to a Government laboratory, has been specially permitted by the Central Government or a State Government to recieve such cultures or other articles. The certificate, moreover , must show on its face that the sender is a person authorized within the meaning of condition (a) to send such cultures or other articles. Bottles of anthrax spore vaccine may also be transmitted by post by laboratories permitted by the central or State Governments to despatch or recieve such articles and on conditions prescribed in (b), (c) and (d) above. Infectious tuberculosis material is specially permitted by the government to recieve such materials. that sputa samples and other tuberculosis material is specially permitted by the government to recieve such materials. thet the material is contained in apill proof glass metal or wax paper containers which are securely packed ina tin or wooden box of adequate strength with a layer of row cotton wood of 3/4" to an inch thickness between the box and the containers.The box should be properly sealed. The box must be enclosed ina stout cloth bag which should be properly fatsened ,sealed and labeled with such distinguishing inscriptions as to make the nature of the contents manifest. Strong smelling articles(e.g. asafoetida) must be enclosed ina hermatically sealed case of tin or other metal. Celluloid inflammable films raw or manufactured celluloid shall be packed ina double receptacle, such articles shall first be closed,in the case of celluloid or articles made wholly or partly of celluloid, in a box of tin, cardboard or wood, the vacant space being completely all round with padding material in sufficient quantity and placed inside a wooden box, made of planks not less than 10mm (3/8 of an inch) thickness, the sides of which shall be dovetailed,the base and the lid being solidly screwed to the sides, any intervening space being completely filled with additional packing material so as to hold the inner receptacle tightly in position and to prevent any rattle. A white lable bearing in heavy black characters the affixed to the address side of the parcel. In the case of non-inflammable or "safety" cinematograph films, a white label bearing the words "safety films- non-inflammable films etc prescribed in sub-clause(1) above will not apply to the packing of non-inflammable films. The acid must be securely packed in a hermatically sealed stout glass capsule which should be embedded in the center of a tin case filled sand in such a manner as to leave a layer of sand of not less than 4.3 centimetres between any part of the glass capsule and the inside of the tin case. The outside of the tin case be labeled in red letters one quarter of an inch high "OSMIC ACID DANGEROUS TO HANDLE". The tin case must be soldered down and placed in an outer box of wood of resonable strength with a layer of at least 2.5 centimetres of raw cotton wool between the inner tin case and the outer wooden box. The outside of the wooden box should also be labeled in red letters"OSMIC ACID". The quantity of the acid enclosed in a capsule must not exceed two grammes and not more than one capsule should be included in a parcel. the perfume must be filled in a glass bottle which should be plugged and capsuled.The glass bottle should then be packet in a cardboard box with caution inside. The outsider of the wooden box should be labeled in red letters "Perfumes-keep away from fire". the postage on a parcel and also the registration fee if the partcel is to be registered must be prepaid fully.Postage stamps must be affixed to, or impressions of stamping machine taken in the cover of the parcel or and official label which can be obtained free at the post office.In casea where postage stamps are used the sender or his messanger must affix the stamps himself postal official being strictly forbidden to affix them.Should an official label be used it must be pasted to the parcel, and if the sender does not do this hmself he is recommended to see it done in his presence before he leaves the post office. NOTE:- If wax-cloth is used as an outer covering for protection and sufficient strong paper has not been securely fastened outside the wax-cloth,it is adivisable that the postage stamps should always be affixed to an official label. Every parcel (including service parcels) intended for transmission by post must be presented at the window of the post office. 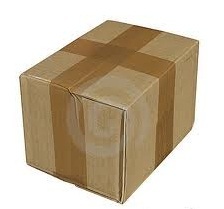 Any parcel found in a letter box will be treated and charged as a registered parcel. If a parcel containing any of the articles mentioned in sub clauses(2) and (3) of clause 147 and clause 148 to 152 is not packed in the manner prescribed therein it will not be forwarded.